We have all heard the phrase money is the root of evil. What is so evil about wealth, which is often what people mean when they think of money. What underlies our uncomfortable relationship with money and therefore wealth? And what is an alternative approach that can nourish our lives and break through old thinking that limits our prosperity? But even so, why can’t we love money? Stuart Wilde says true prosperity is “Not about how much you have, it’s about how you feel about how much you have.” Another way of saying this is: Our wealth is measured by how much we have that cannot be taken away in all realms, including financial, spiritual, and emotional. How we feel about what we have is completely within our power. Given that, we need to know how we feel so we can see where we can make some changes. What can you do today to use money consciously in creating abundance in your life? My friend stated her discomfort starkly: “Having money means giving up your life.” REALLY? Probing further, I saw a pattern that repeated itself with many other people in my life. There is a root belief by many that money is associated with greed, resulting in wealth for some and poverty for others. This dichotomy creates a false choice – be rich, or be poor. Many people who are committed to equity begin to earn a good income and then unconsciously find ways to not accumulate wealth. There are always family members or friends who need our help. There are cars and clothes and trips. All well and good until a crisis hits – be it medical, familial, or economic. Often forgotten is Wilde’s definition of prosperity – it is not what you have, it is how you feel about what you have. Many people who may be poor financially have a joy and contentment that is genuine. Many who have incredible financial wealth never cease to covet more, never feeling it is enough. At the base of discomfort with money is seeing it as other than neutral. It is merely a vehicle through which energy is exchanged. It can provide for the two lowest levels in Maslow’s hierarchy of needs, described as physiological and safety needs. The problem arises when money is used as THE vehicle for getting our higher needs met, such as love/belonging, esteem and self-actualization. Make no mistake, financial well-being can support these higher level needs, but it neither guarantees or blocks you from achieving them. We can decide to see money as neutral and one’s degree of wealth measured by how much we have that cannot be taken away. This does not eschew financial freedom based on a false dichotomy of rich OR poor. True prosperity is well worth the effort in all realms of life. It begins by understanding and detaching ourselves from dualistic thinking so that we can nurture a positive relationship with money. Rest – What is it Good for? Rest. The body needs it to repair and replenish, the mind needs it to access creativity, and the soul needs it to cultivate peace. 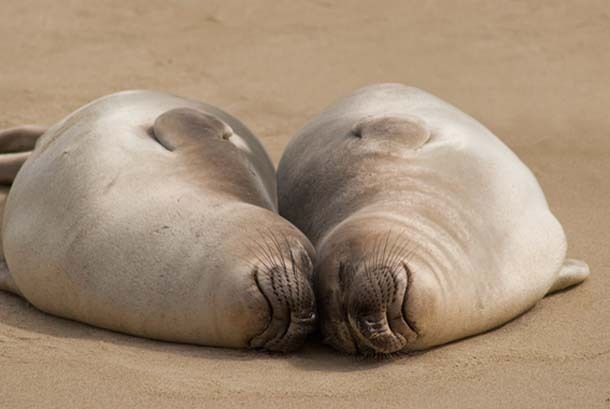 When seals pull themselves out onto rocks or the shore, they are not being lazy or sunbathing. They haul out to reoxygenate their blood by sleeping much of the day. This and a thick blubber layer enables them to take deep dives, staying under an average of 23 minutes as they forage mostly at night in the cold ocean waters off the coast. It is essential for them to carry on at the top of their game. It can save their lives. We too need to reoxygenate. As a self-employed coach, entrepreneur and writer, much of my time is spent alone, the clock my guide or my punisher. One might think that is the perfect set up for resting, but it turns out not to be true for me and many others in all kinds of different situations. I can minimize lunch breaks and breaks in general. My idea of a break can be house chores or a yoga class. Necessary parts of my life, but not fully restful. While my pace is rarely rushed, my “doing” can often not stop until I lay down at night. I am much more mindful these days of rest as a result of two events a few years ago that helped me wake up to my unrestful habits. The first was a visit by my buddhist teacher. She made it clear I was not sitting on my meditation cushion enough for someone with my practice history. 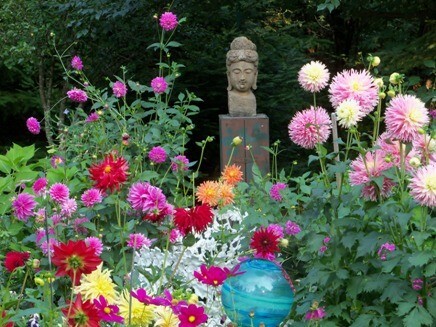 Much of my resistance dissolved and I meditate more regularly now, watching my mind’s frenetic activity with compassion. The second event was a training I attended with John Gray, the Mars/Venus guru. Listening to him speak about female brain chemistry was like hearing him tell my story. I was serotonin deprived from months of slowly accumulating insidious habits of unrest. Serotonin is the feel good, “everything is alright” endorphin produced in our brains, and women are often challenged to keep it at a high level. I am the queen of boundaries and accountability around action and results. I now apply that more regularly around rest and rejuvenation. Buoyed by understanding the issue, I now create more inaction and true rest times in my day. My sister visited this weekend and we had amazing massages and manicures, which I know now are serotonin raising activities. I still use TV strategically to stop for a full lunch break and the Golden State Warriors basketball team are often my evening entertainment and inspiration to play hard and rest with just as much intention. I place boundaries on my work over the weekend. By creating restful evenings and weekends, I naturally organized my work more efficiently. When I start flailing, I pull out a daily checklist I created 30 years ago as a recalibration tool to pay more tender attention to myself. It now includes more habits of inaction – computer off earlier, 45 minute lunch break, in bed earlier. I moved to Marin County 5+ years ago because I wanted to live where I would go to replenish and rest. I am grateful I can more often practice rest as dutifully as I practice action, because rest is good for everyone and everything that matters to us. What does it mean to have a ‘Body of Life’ — seeing your life as having the space and time to encompass your purpose and multiple passions? What happens when we stop thinking one person, job, home, car, educational achievement, or external recognition will confirm our essential goodness? A ‘body of life’ encompasses achievements that matter deeply and are connected to our purpose on this earth. It is not a resume, although some elements can be found there. It is your footprints in the sands of life; what you did with all your heart, mind, and spirit. It is what stretched you further than you ever wanted and allowed you to receive and give in equal measure. A ‘body of life’ is focused on creating legacy, defined as something handed down from an ancestor or preceding generations; an inheritance; a birthright. This is often connected to wealth or property, but can be anything that endures beyond our lifetime. For myself, my ‘body of life’ has many components, but is directly tied to inspiring people to embark on a journey of balance and healing for this and future generations. Two examples from my own life are my children and my writing. My teens are now twenty and embarking on their journeys beyond my constant caregiving and direction. Having dedicated myself beyond anything I could have imagined, I am excited to see what they will do with their increased decision-making and the set of values they have inherited from their parents, their culture, and their larger family and community. My writing body of work will be, in its most concrete form, books. However, it is also the channels I use to leverage my stories and the lessons I have and continue to learn – the speeches, workshops, and personal conversations that inspire people to take their ‘body of life’ seriously. Having a ‘body of life’ requires great discipline and unerring belief in our dreams. 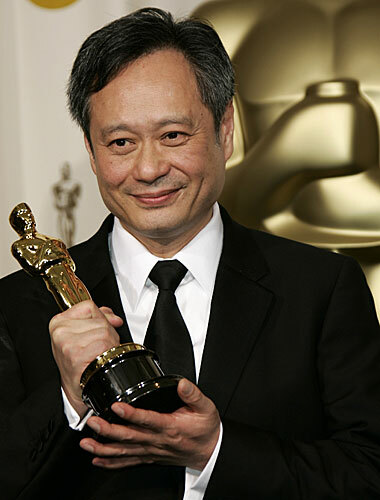 After he won his first Oscar as a director, Ang Lee said: “I struggled through six years of agonizing, hopeless uncertainty.” How many of us are willing to make that phrase our story to achieve even one of our goals? If we can accept the uncertainty that is inherent in life, we are far more likely to reach a place of fruition. It will mean we have done whatever it takes to truly enjoy the exciting and illusory external recognition, as did Ang Lee. And then get back to work on another aspect of our ‘body of life’! What unconsciously ingrained belief do we have to give up to get there? For myself and for Ang Lee, we had to sail beyond what our parents and many family and friends deemed reasonable. No steady job, no determined career ladder, no day like any other. I have friends who think I am involved in pyramid schemes and scams! I have to regularly release the power of others’ opinions , which I can value too much, to live my full-hearted, authentic ‘body of life’. Being life-long learners means not being stymied or disappointed by the sight of yet another start line. What is one step you can take today to achieve a goal in an area of your ‘body of life’ where you are a beginner?